"This country has opened its door" to discuss slavery with the UN, she said. "Why don’t we try to support them?" In a CNN interview, a government minister denied slavery's existence, and the country does not allow journalists into its borders to report on the existence of slavery. But CNN managed to do just that. "Slavery's Last Stronghold" documents the phenomenon. The international community shouldn't shame Mauritania for being a place where old-world forms of slavery are still relatively common, Shahinian said. Now people must let Mauritania know that they would support the country if it enforced anti-slavery laws and created more programs to help people who escape from slavery survive. “Positive encouragement will give the government and others more incentive to do better,” she said, adding that she has observed progress in the last two years, during which time members of the government have agreed to meet with her about slavery. Implement the law against slavery: Mauritania abolished slavery in 1981 but only made it a crime in 2007. Since then, only one slave owner has been successfully prosecuted. Shahinian said the first step to change is for the country to get serious about enforcing the law it already has on the books. It should hear the cases of slavery’s victims and prosecute slave owners. "People are conspiring to make sure these cases get buried," said Sarah Mathewson, Africa program coordinator for Anti-Slavery International. Teach people slavery is a crime: Mauritanians who live in isolated parts of the Sahara Desert often don’t know slavery is a crime, Shahinian said. Government officials and non-governmental organizations should travel into the countryside to educate people about the 2007 anti-slavery law and make their rights clearly known. A media campaign could be part of the effort, she said, but in-person meetings would be best. “The majority of the population is illiterate; you cannot make brochures and distribute them.” Further, government leaders must counter cultural assumptions about what happens to slaves after they escape. Slaves “fear if they break the chains they will be punished,” she said. That must change through education and awareness campaigns. Support slaves after they escape: Currently, there are only two centers designed to help people who escape from slavery - both in Mauritania’s capital, Nouakchott, according to anti-slavery activists in Mauritania and abroad. One teaches escaped women and their children how to sew, cook and dye clothes. Another offers shelter to escaped slaves. Only a few dozen people receive these services and they must be scaled up dramatically if slavery is to be eradicated, Shahinian said, especially in rural areas. Ex-slaves must be educated if they are to become productive members of the economy, she said. Compensate slavery’s victims: Recently escaped slaves should be paid reparations for the time they spent in slavery, Shahinian said. The government should set up a fund that controls the compensation, and slave owners should also be responsible for payment, she said. That money would be used to help freed and escaped slaves get housing and become part of the workforce. 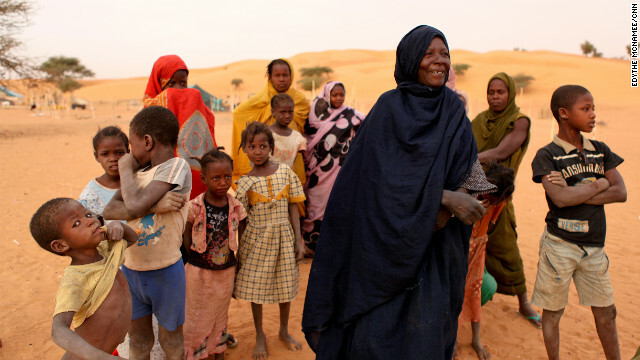 Investigate the extent slavery: To date, researchers have not been able to conduct a full survey of slavery in Mauritania because the government isn’t willing to let that happen, she said. In this information vacuum, activists and researchers are left guessing about how many people in Mauritania are enslaved and what types of slavery exist. 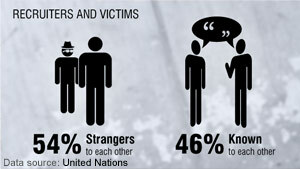 Traditional slavery, in which families are enslaved and work without pay, is thought to be the most common form of slavery there, but human trafficking and other modern forms of slavery may exist, too. “The government has not agreed to do those studies,” she said. Shame on the leader's of mauritania who are also Black to continue slavery in the 21century. I say to the people rise up seek inspiration in the music of Bob Marley's – Get up stand up stand up for your rights or Peter Tosh's – Equal rights and justice, Only then will you begin to beat the drums of revolt let me hear this all the way in the Caribbean. Sorry but the leaders in Mauritania are not blacks, they call themself white Arabes. They are the most racistes people I ever seen in my life. I have lived 23 years in Mauritania, 10 years in Europe, 13 years in USA, but I have never seen people hating people with such agression like Mauritanian white maures. The poor slaves are cut from the modern world, they don't believe in anything but their masters. They mecanism is supported by the governement since 1960. Ahmadou, just because they call themselves white arabs doesn't mean it is so. To the rest of the world they look black or brown – not white. I have heard some of the comments that arabs and others are called. They are called sand ____ by many whites. Maybe they can't accept that – but there it is. It's a shame that people everywhere seem to need to look down on someone else in order to feel better about themselves. God did not mean this to be so. 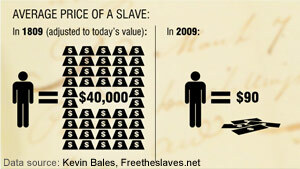 God made men, men made slaves. Thank you Ahmadou for pointing it out. It is Muslims who cultivated the evil of slavery since the ancient past. People are ready to accuse the West for all sorts of slavery. Slavery is of recent birth in the West in consideration with that of the Middle East. Arabs took African Slaves even to India. They can call themselves purple arabs, but they are black. and where is the outrage of the blacks in america?? It seems that many individuals are perhaps getting a 'wrong' message from this, why is there so much concern about finding which religion to blame for what is happening out there? I don't think we should be putting each other down, instead think about the poor people who are suffering and being treated unjustly, and figure out a way to solve it that doesn't involve violence or disrespect towards the religous beliefs of others, which may or may not have anything to do with what is happening. How about you all toss out some HELPFUL suggetions, this story is suppose to bring attention to the awful treatement to human beings (our brothers and sisters) and we should use the information to educate others arounds us and take action. Enough with the hate already! Correction: leader of mauritania are not Blacks. We teh Black people of Mauritania are victim of this racist government. Beside the slavery, there have been summary executions, deportation, land expropriation that still continues. The minority Arab, have all the branches of power and maintain a discriminatory and shameful racial system against teh majority blacks since the Independence. What bug is when the UN say there hope, that is not true. The UN failled to aknowledge and address the situation in Mauritania despite our protests. The international community should wage war on Mauritenian government and set all slaves free and conduct free and fair election with the participation of the free slaves thats the only way foreward.That is more serious than wasting time on Syria or Iran. Mauritania finally had elections. In 2007, for the first time since independence. Then, they didn't like it when the President tried to fire a general in the Army, and had a coup within 2 years. Which the vast majority of the country supported. I was living in the Trarza region during the 2005 coup that removed Ould Taya from his 20 year rule, and the 2007 elections, and was very hopeful. But the enthusiasm and justification for the military overthrow of a democratically elected leader just shows that the country has a long way to go before they understand Democracy. They had, after all, had a coup on average every 3 years since independence. Baby steps. The UN and "international community" are too obsessed with imagined Palestinian "rights" to care about real travesties such as slavery in Mauritania, or the oppression of women in Saudi Arabia, or the genocide in Sudan, or lawlessness in Somalia, etc., etc. Maybe some day you will find a sugar daddy benefactor to elevate your cause like the Arabs were able to accomplish, until their own massive crimes against humanity finally came out with the "Arab spring." Except in Mauritania's case, the oppression and subjugation of an entire class of people is real. Good luck. Bogus social seirtcuy numbers are passed around and accepted on an honor system basis- for the purpose of obtaining employment, filing out credit/loan applications, etc.- for some reason- the government shows no sense of urgency whatsoever about taking action to prevent fraud Re: your social seirtcuy number. the UN is an evil organization responsible for more mass murder than most armies and is controlled by bankers. and here u have silly western clowns trying to enforce occupation in east africa under the guise of hunting kony whos probably been dead for years now. and here were STILL in afghanistan 11 years later with nada to show except the weapons producers and there stockholders getting rich off of the death blows. haiti still hasnt recovered and wont because theyre out of the spot light and have been (google HAARP). 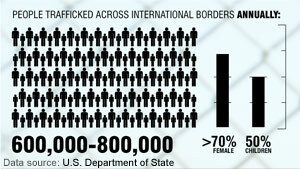 theres alot of humanitarian assistance that could be provided worldwide. but alas........where ....is it at??????? I'm a Rush fan, have been listening for 20 years. It's instereting that the left beats false statements into the ground, but it just makes them happier to know it bothers the right. They get the results they want, they have stacks of billionaires controlling media. Rush should have known Soros was part of Checketts' group–the two paired in 2003 to try to buy the Dodgers, so they're obviously friends. Soros equals Obama. I wouldn't call it a conspiracy-that would've required effort. I'd call what they pulled on Rush a practical joke. All this rehashing of the predictable outcome just makes the left happier. Thanking CNN for shedding light on this human tragedy. I urge them to go further by addressing the systemic racism against us, the other blacks non slaves of mauritania. I've often pondered what is a wothry cause to donate money to. I wouldn't donate to something like Katrina for many of the same reasons as you; others need it more, others are donating, but for me, while I do feel shock and concern, I can't see what my money's doing, I don't get to see who I'm helping, it's just the mystical vending machine, stick a quarter in and good things come out the other side, supposedely.On the flip side, I'm not entirely comfortable donating to such a huge cause as saving Africa from starvation. The plight is horrible, but I don't know anybody in Africa, and it seems to me that a lot of the concern is generated by the pictures of starving children. I don't want to donate out of pity or horror.Our church is in very good contacts with a church in Nepal, and we regularly take offerings to help them maintain their ministry to orphans (the pastor and his wife take in orphaned children, and provide everything from food and clothing to education and training for a job in the future). There are so many places that need help, it seems to me that finding a single cause that you understand, relate to, and are committed to, and sticking with it, is more helpful than dropping your dime in the bucket as you walk out the door.Then again, I'm only sixteen. I guess to ask why the Afirican Union hasn't done anything about this is like asking why the UN hasn't, huh? As long as Mauritania has been under Spanish rule, nothing has been done to eliminate slavery there. Let's just put the blame where it belongs, that is, the Franco regime(1939-1875) in Spain. This is another thing that the right-wing news won't talk about! Now this same media is trying to make another case for American interference, I suppose!!! Mauretania was never under Spanish rule: it was a French colony. Secondly, your mention of <> is hilarious! You might make a supreme effort and get your dates straight. Morocco was colonised partly by Spain and France, and the vast territory, normally known as Western Sahara, was under Spanish rule, until after Franco's death, and the territory was abandoned by Spain, and then take over by Morocco. In this territory there live the Saharaouis, who have struggled continuously to gain independence from Morocco. But in vain. I think you have confused the two very different issues. I must admit that I am ashamed of my country, yes my country, Gambia. This is why, Mauritanians are all over Gambia and are so welcomed and revered, that its sickening. I am not calling on people attacking Mauritanians, but the Gambia , as well as Mali and Senegal, should cut all relations with Mauritania. 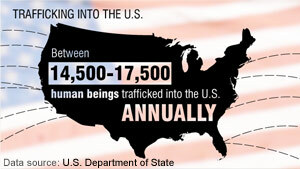 This will send a clear message, that that slavery is unacceptable. I remember the '80s when Mauritania carried out some of the must horrific crimes against blacks. They cowered away back to their monstrous homeland. The UN shouldn't be the only ones making the efforts, all African dictators should for once show they are true revolutionaries. It should be easy and perhaps bloodless, just choke off that barren land. Thank you CALL-IT-OUT for your support. There is no hope for the UN though. You know yourself that what you are talking about is totally false, because of your racism and heatred you are even question our Mauritanian nationality. There is no Malian or Senegalaese in this forum. You can't even spell Boghe, which is a big city in Mauritania because you just don't want to. This what we call "state of denial". By the way our contributions are going to the right hands, don't even worry about it. This is the signature reply you get as soon as you bring the issue of slavery. They try to make it look like it's not only in the Arab community. They prefer to say this is a share problem between all Mauritania communities and fall short of condemning of expressing disapproval. The fact that it's maybe a shared problem does not make it Ok.
That's how the government arrives to keep the secret in for this long. El el you know you are lying. I wonder if forcing former slave owners to pay reparations would actually be even more incentive for them to make sure their slaves are never freed. What part of who gives a s hit do you folks not understand. Remember, blacks started the slave trade in Africa and apparently it's alive and well!! If you don't have anything to say, it is is better to shut it. I care , the Law care, Police care, God care, the people us care, the greatest Governor of NEW YORK care about children,-- we also care for you too. Let me tell you why the Mauritania government doesn't want any journalists going into their country to report on Slavery. The government officials of Mauritania own slaves themselves. If a Journalist or research of slavery goes into Mauritania and interviews slaves, by asking the names of their owners and how long they have been ensalved and if the children they have belong to their slave owners, many of those officials will be going to prison. A government official of Mauritania sat there and bold-faced lied to a reporter. If someone goes there to do research on anything else besides slavery, that researcher is given a government-minder to make sure they do not interview any slaves. where is the outrage from the black community and black "leaders" on this issue. all they want to do is talk about slavery that ended over 150 years ago. hey and it is blacks owning blacks. this shows that most blacks dont care, they just want an excuse for a handout and for government to take care of them. The leaders are in their grave, did you mis to observe that part too. YOU SOUND LIKE A FOOL.....HOW IGNORANT OF YOU!! Excuse me I have worked since I was 15 yrs. old how about you?????? Mr. Observer I don't need your handouts I am able and willing to work thank you...you may want to check your stats more whites are on welfare than blacks check it out before you speak such FOOLISHNESS SILLY RABBIT HAVE A WONDERFUL NITE AND A GREAT WEEKEND....DO SOME READING PLEASE!! Hey OBSERVER, reading you, shows me that you are one of these stupid monkeys berbers that oppresse poor people in Mauritania. Call yourself by your own name, you are not arabes, you are not whites, you are just some retarded bedoins in the middle of sahara living in the v10th century. You hate all humans but your donkey tribe. It is really an accident of nature that your tribe exists, there is no slavery in the world nut in this part. If you are muslims you should not oppress these people, you should not kill innocent people just because they are black and you killed them in the middle of Ramadan. You better shut it up, this forum is for human beeings but not retarded stupid barbares like you. Who have not deserved your anger,Say: He is Allah, the only one. May Allah Blessed you. Thank you for the information, 'He does not produce a Child, and He was not born of anyone'. Is He a spirit, or invisible, or visible, or not-there? You are so right, He has no relationship with Humanity, and the wickedness to children. Spirit dont need clothes, shoes, water, food, education, housing etc. Did you know that your boss' toilet is made out of pure gold, and the community dont know what is a toilet – tissue, the poor children may have to use the hot sand to clean. May Allah blessed you. And thank you for the informations. 'He does not produce a Child, and He was not Born of Anyone'. Is He a spirit, or invisible, or visible, or not-there,? ? You are so right, He has no relationship with Humanity and the wickedness to Children. Our leader toilet is made of pure gold, and the community do not know what a toilet-tissue looks like, the poor Children may have to use the hot-sand to clean. Crazy... sad and crazy world. NOW I know why our American Malcolm x, was killed, because he did not Bow-down to Allah. Because, you said "Praise is only for Allah, Lord of the Universe, the Most Kind the Most Merciful". ( Most kimd and Most Merciful TO WHO ? ) I am so happy and proud I am a New Yorker, my ancesters were prisoners of war who was caught when fighting against the muslim envaders of the King Soloman dinasty. muslims sold people for drugs and guns to the french who carry our parents beond to the carribean 1432 to 1464 AD, The Zara Yacob era. Hey Denton, reading you, shows me that you are one of these stupid monkeys berbers that oppresse poor people in Mauritania. Call yourself by your own name, you are not arabes, you are not whites, you are just some retarded bedoins in the middle of sahara living in the v10th century. You hate all humans but your donkey tribe. It is really an accident of nature that your tribe exists, there is no slavery in the world nut in this part. If you are muslims you should not oppress these people, you should not kill innocent people just because they are black and you killed them in the middle of Ramadan. It's not like the 17 people lisitneng to Stephanie Miller's show would change their opinion of Rush even if you could convince them the quotes were lies. I'll right away take hold of your rss feed as I can't find your e-mail subscription link or e-newsletter service. Do you've any? Please let me recognise so that I may just subscribe. Thanks. Excellent website. Plenty of useful information here. I'm sending it to a few friends ans also sharing in delicious. And naturally, thank you to your effort!